Our appeal to you was simple: you can help refugee children today. Your response was life-changing. And we’d like to say thank you for your incredible support. When we told you about Gabi and Maher, we weren’t just sharing their story. We were sharing a story that could be told about thousands of Syrian refugee children. A story of lives uprooted, of fear. One of losing a home, friends, and tragically, formational school years. Gabi and Maher are half-brothers from Homs in Syria. We met them last year outside Beirut in Lebanon, where they had been living for seven years. Home for them was a tent. Their true home, the one that war forced them to flee from, was some 90 miles away. Gabi was ten when we met him. Maher was 11. 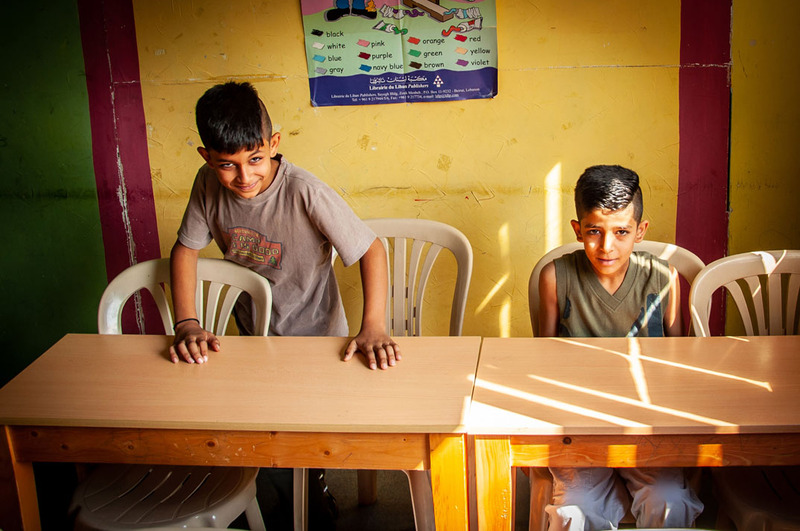 Just confident young boys, both smiling as they sat at the back of a classroom at an education centre that you help support through your giving to BMS World Mission. Being in a classroom brought some sense of stability back into their lives. But there are so many other Syrian refugee children who are missing out on learning. Which is why we asked for your help. We’d love you to show the video above in your church and share it with your small group. Just hit the button below to download it. 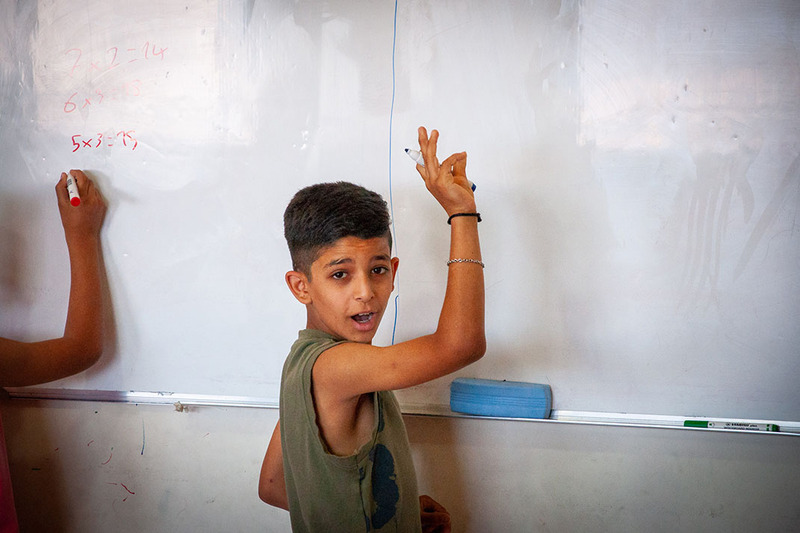 Thanks to you, Syrian refugee children like Gabi and Maher will be able to return to the classroom. You gave an incredible £44,000 to the appeal to help us support the education centre that inspires and cares for Gabi and Maher. Your generous gifts have helped increase its capacity from 75 students to 120. These young people are now receiving an education. They’re making friends. Laughing together. Your donations are also helping children to get to the centre, and to buy learning materials, meet running costs and pay for teachers to receive more training. By giving to the appeal, you’ve made a very real difference to the lives of children like Gabi and Maher, and we can’t thank you enough. The work you’re supporting in Lebanon is a true blessing, and it will leave a legacy. It’s beautiful, and it’s blessed by God. Maher's really enjoying the chance to have maths lessons again! If you ever feel you can’t make a difference in a situation like Syria, we want to share with you the words of Gabi and Maher. We asked them what they’d like to say to you, the people who are showing them God’s love, along with everyone at the education centre. Their response was identical, and heartfelt.